Some things simply matter more than others. In the eternal scheme of things, the Lord's system of salvation is the most profound and important truth for us to know and understand. Central to that plan is the atoning sacrifice of the Lord Jesus Christ. "Ultimately, every type, shadow, and symbol in the gospel plan points our souls to Christ, as He points our souls to the Father," write religious scholars Patrick D. Degn and David S. Christensen. That is true even of the types and shadows in the Old Testament, which the authors explore in this thoughtful book. 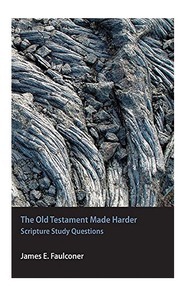 Skillfully complementing Old Testament insights with other Restoration scriptures and teachings from modern-day prophets, the authors show how these truths apply to us today. Each chapter is tied to specific books and stories of the Old Testament, making this volume a helpful resource for gospel teachers as well as anyone who wants to better understand the plan of salvation and the scriptures. David S. Christensen has taught seminary and institute in California and classes at BYU Campus Education Week. He has been extensively involved with BYU over the past fifteen years, serving on several advisory councils. He received his bachelor's degree from BYU and his master's degree from the Yale School of Management. He is a partner in a private equity firm in Danville, California. He and his wife, Mary, are the parents of six children and the grandparents of four. Patrick D. Degn has been an instructor in the Seminaries and Institutes of Religion for more than twenty years and currently teaches seminary in Saratoga Springs, Utah. He teaches adult religion classes for BYU Continuing Education and regularly presents at BYU Campus Education Week. He has also taught at EFY and other youth and adult programs. He is married to Christine Richards, and they have four children. I LOVE this book! It has opened up the Old Testament to me in new ways.I find myself reading with scriptures in hand to find where these pearls of scripture have been that now have new life and depth. This book is a perfect study companion. I have attended Brother Degn's classes and have always admired his breadth of knowledge, testimony and excitement about the topic and this book has so much meat in there that there's loads to chew on and ponder over!! I have underlined most of it--I HIGHLY RECOMMEND IT! I can't put this book down! I have been to Brother Degns classes and his knowledge is mind blowing so to have his insights in written form is just what I need! I can't put this book down! It makes me ponder things I'd never supposed and see Christ in stories that I didn't before! This is a must have book for anyone wanting to understand the old testament better and develop a stronger relationship with Christ!